Okay – so this page is only because I’ve not been able to find a comprehensive review of my eTrex 30 and whenever I need to get extra information or a quick reference guide as to what is best – or not!! – I usually go to this guy DC Rainmaker – in depth run/cycle/swim gear reviews. 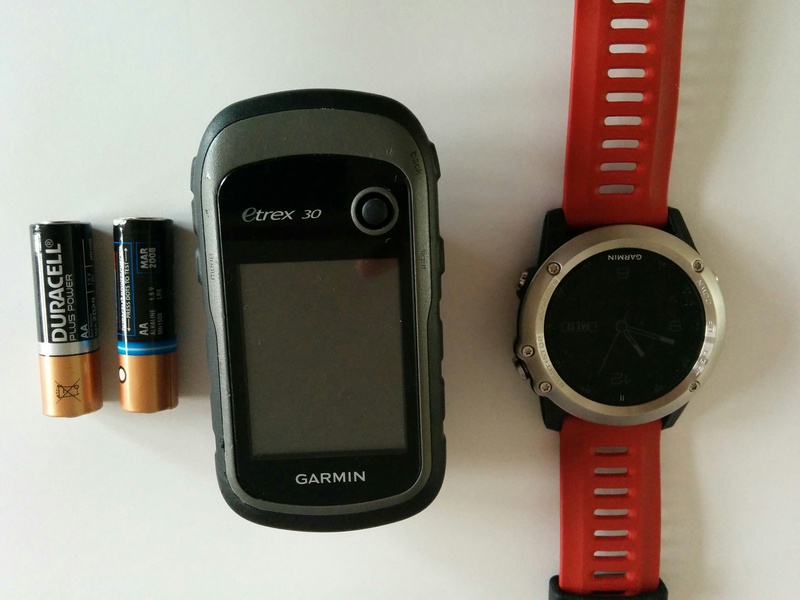 Until he adds a review for my eTrex 30 I will try my best to give you a good idea of what you can you do with a Garmin eTrex 30. Here goes……. From the Garmin website – acronym overload! eTrex 30 takes one of the most popular and reliable GPS handhelds and makes it better. Enhanced ergonomics, an improved interface, paperless geocaching and expanded mapping capabilities makes eTrex more versatile and user-friendly, while maintaining its toughness and durability. eTrex 30 has an enhanced 2.2″, 65K color, sunlight-readable display. Durable and waterproof, eTrex 30 is built to withstand the elements. It has an upgraded interface and stands strong against dust, dirt, humidity or water. eTrex 30 adds a built-in 3-axis tilt-compensated electronic compass, which shows your heading even when you’re standing still, without holding it level. Also added is a barometric altimeter which tracks changes in pressure to pinpoint your precise altitude, and you even can use it to plot barometric pressure over time, which can help you keep an eye on changing weather conditions. With an array of compatible mounts, eTrex 30 is designed for use on ATVs, bicycles, in boats, as a handheld or in your car. Use the auto mount capability and City Navigator NT® maps for turn-by-turn driving directions, or the rugged mount for your motorcycle or ATV. Wherever you think you might take eTrex, it has the mapping and mounts to get you there. eTrex is the first-ever consumer-grade receiver that can track both GPS and GLONASS satellites simultaneously. GLONASS is a system developed by the Russian Federation that will be fully operational in 2012. When using GLONASS satellites, the time it takes for the receiver to “lock on” to a position is (on average) approximately 20 percent faster than using GPS. And when using both GPS and GLONASS, the receiver has the ability to lock on to 24 more satellites than using GPS alone. With its microSD™ card slot and 1.7 GB of internal memory, eTrex 30 lets you load TOPO 24K maps and hit the trail, plug in BlueChart® g2 preloaded cards for a great day on the water or City Navigator NT map data for turn-by-turn routing on roads (see maps tab for compatible maps). eTrex 30 also supports Birdseye Satellite Imagery (subscription required), that lets you download satellite images to your device and integrate them with your maps. eTrex 30 lets you share your waypoints, tracks, routes and geocaches wirelessly with other compatible devices. So now your friends also can enjoy your favorite hike or cache – simply press “send” to transfer your information. eTrex 30 supports geocaching GPX files for downloading geocaches and details straight to your unit. Visit Geocaching.com to start your geocaching adventure. By going paperless, you’re not only helping the environment but also improving efficiency. eTrex 30 stores and displays key information, including location, terrain, difficulty, hints and descriptions, which means no more manually entering coordinates and paper printouts. Simply upload the GPX file to your unit and start hunting for caches. 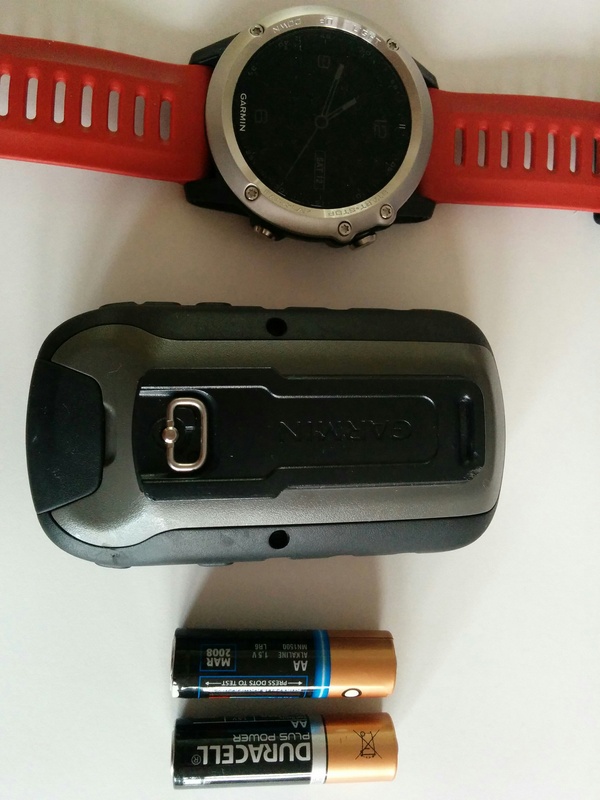 The size of the eTrex 30 compared to my Garmin Fenix 3 and two AA batteries. Its not huge but its not small either. This is what the back of the eTrex 30 looks like. The insides of the the eTrex 30 with the batteries removed. The microSD card removed so you can see where it sits. There’s a simple metal cover that slides to lock the microSD card into place. 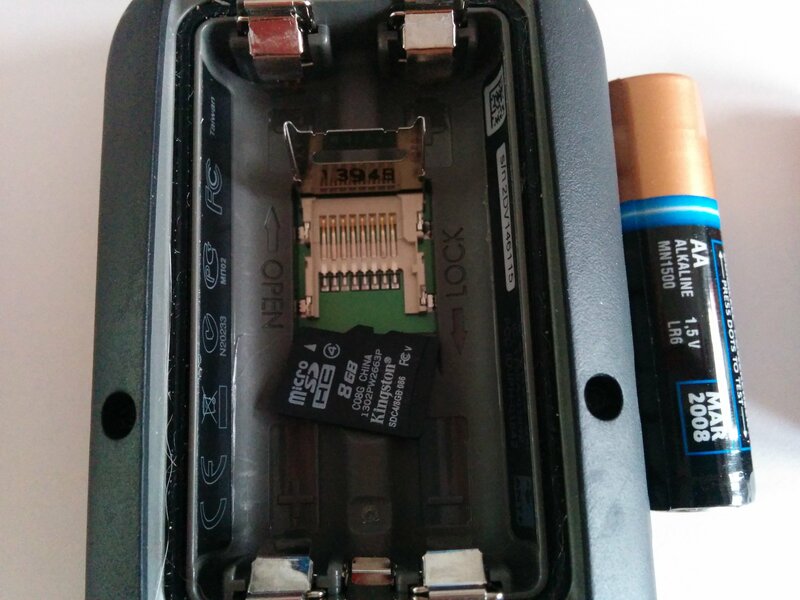 Dropping the eTrex can sometimes knock the microSD card out of its secure little home. Yes. I did drop mine and it took me a while to figure out why my downloaded maps had disappeared from my eTrex. Only eTrex 20 & eTrex 30 have the ability for additional data storage. The USB port for eTrex 10 20 & 30 are all covered by a tough silicon/rubber flap. 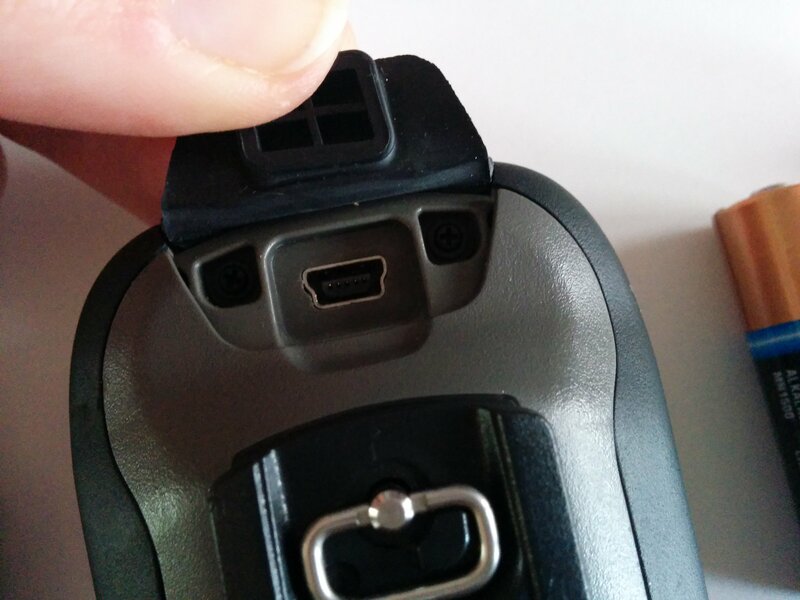 This port is to transfer data, this port does not have the ability to charge batteries whilst in the unit. 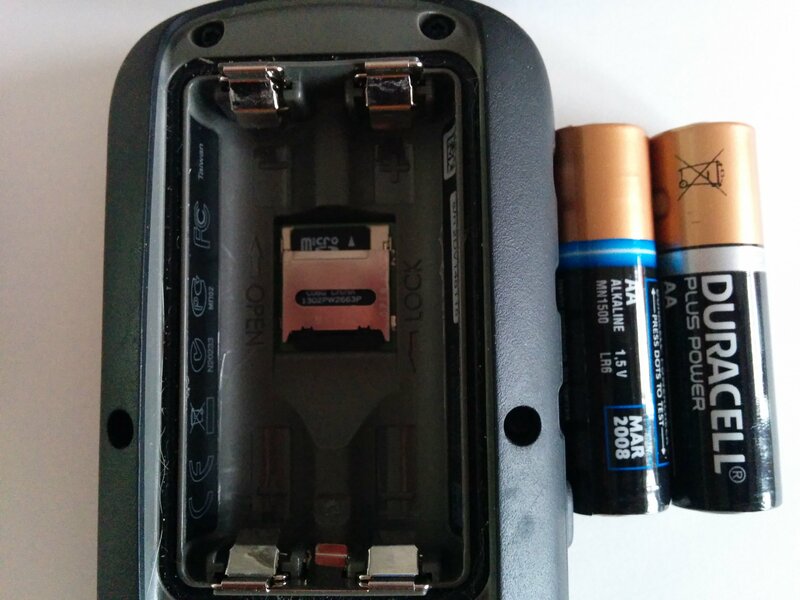 Even if those batteries are the rechargeable kind. I’ve tried and so has a friend. Data only. Still here? Good. Next are the technical specs. This is filled with even more acronyms! !